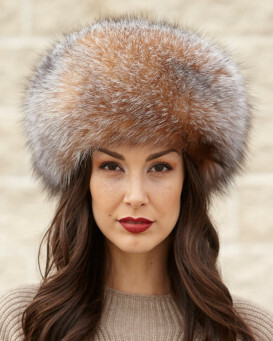 Emma Large Detachable Crystal Fox Fur Collar. This gorgeous Fox collar will enhance any jacket or coat. All you need to do is drape it over your shoulders and use the invisible fur clip to snap the collar closed securing it in place. You can also wear this collar over a sweater. For a more formal look, this collar will look sensational worn over a sleeveless evening dress. Measurement: Lining Side: 3.25 inches wide by 40 inches long. Fur Side: Approximately 7 inches wide by 44 inches long. 4.5 / 5 from 60 customer reviews. "Beautiful, elegant, classy!! 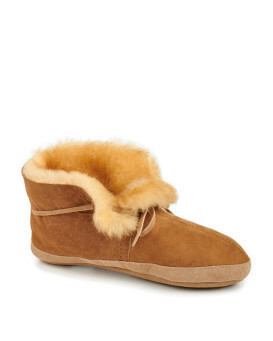 And easy, comfortable!!" "I purchased this collar for myself (a man) and it is perfect. I wear it over a men’s black car coat and it looks great - like a built-in piece. 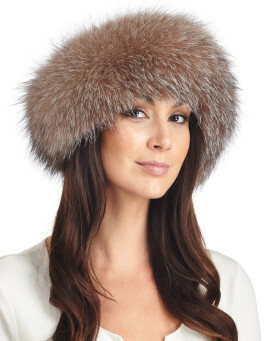 The fur is excellent quality and I’ve received many compliments." 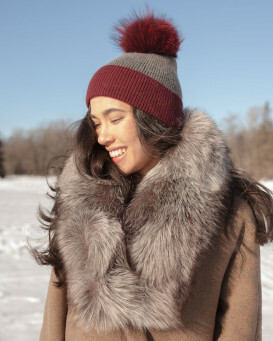 "Thank you for making me so happy with my crystal fox purchases!I love every piece and enjoy wearing the large fox collar over a cardigan or over a leather jacket It is beautifully made and oh! so warm to wear.The colour of the fox is exquisite..It is so glamorous and sophisticated! I shall be wearing all of the crystal items a lot.well done to Fur Hat World!" "Beautiful collar, very thick and full. Got many compliments when I wore it over my sweater." "This will be a Christmas gift for my wife and the quality looks great. Excellent buying experience with fast delivery." "Just the right size, soft and cozy, and arrived in 4 days." "Soft and luxurious, colors are fabulous." "Loooove this fur, so soft and just the right size over coat, blazer, sweater. The neutral color works well as an accessory to all colors."